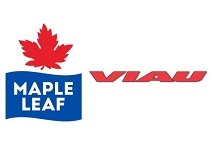 Maple Leaf Foods, a Canadian manufacturer of meat products, has announced the signing of a definitive agreement to acquire Viau Foods, a Canadian leader in premium cooked and dry-cured meats. The purchase was set for $215 million, including $30 million in Maple Leaf stock, to be financed through a combination of cash-on-hand and drawings. VIAU produces a range of prepared meat products including Italian cooked meats, sausages, pizza toppings, shaved steak, meatballs and dry-cured pepperoni. As well as serving foodservice customers, it markets a range of retail products under the brand Fantino & Mondello. Commenting on the deal, Maple Leaf Foods president and CEO Michael McCain said: “VIAU brings a portfolio of leading brands, a reputation for innovation and quality, skilled management and people, and excellent manufacturing assets. This acquisition expands Maple Leaf’s position in the growing market for premium dry cured and pepperoni meat products and provides further production capacity in Quebec, an important strategic base to grow both Canadian and U.S. sales”.